Clear and consistent signage is important as it enables easy navigation of a site or building, but this becomes even more vital when the visitors and users of the premises are visually impaired or need to use a wheelchair to access the site. 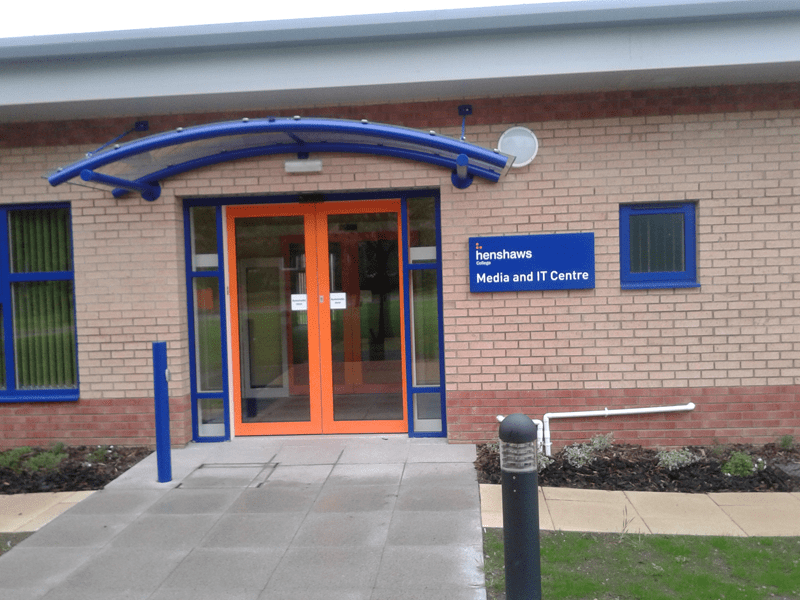 Harrogate-based Henshaws College requested Signarama Harrogate’s help following its rebranding and the opening of its new Media and IT Centre. The brief had two aims, firstly to provide the College with a coordinated look by ensuring that all signage featured the same logo, and secondly, that it enabled the students, who have a wide range of disabilities including visual impairments, to navigate their way easily around the site. Following a full site survey, Signarama Harrogate installed a range of signage. Large aluminium post and panel signs were erected at the main entrance, and internally the welcome boards and window graphics were given a fresh new look. Due to the large expanse of glass in the Café, the space was often extremely hot and in order to reduce this, Solar Film was fitted to the windows, to help to reduce the heat and the glare. Signarama also commissioned and installed a variety of directional and way finding braille signage, and ensured that it was installed at a height suitable for a student in a wheel chair to use.